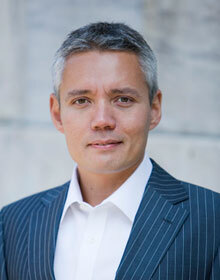 Investment opportunities in macro strategies and CTA trading occurs due to inherent inefficiencies of the marketplace. As long as this continues, a skilled trader can generate risk-adjusted returns over time regardless of the underlying market direction. Low transaction costs and the use of leverage to improve returns whilst controlling overall risk, strengthens the argument for including a CTA trading strategy within a traditional portfolio. 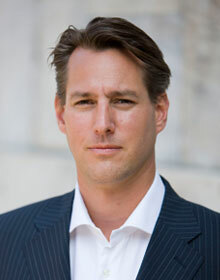 In searching for unique trading signals that aim to generate returns above the broader market, our goal is to utilise the idea generation processes of emerging managers. 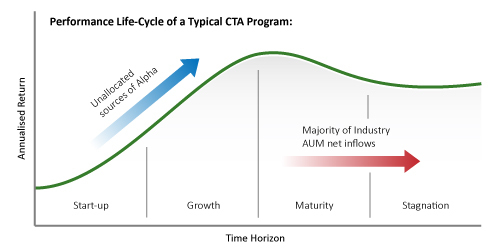 In short, all CTA signal strategies must share our investment views on absolute returns. The investment methodology of how the procedure will execute the signals can vary by certain inputs, however the view to achieving alpha remains constant. In our opinion, nimble and adaptive investment strategies are more easily able to react and adjust to the constantly changing market dynamics that is present in the current trading environment. during trending or stressed markets. Generating positive returns through manager skill should be the primary driver for any CTA signal provider. However, by focusing purely on return data will not identify the preferred managers or signals. This is due to the risk in being exposed to shifting market environments created by technical cycles or event driven factors. The internal developments of an investment manager will have an impact on the trading signals they generate. Understanding where the manager is in their life-cycle reflects upon performance, investment expectations as well as implementation of adequate risk controls. 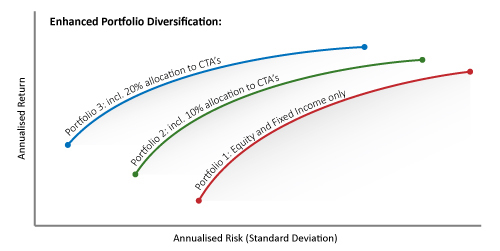 When applying modern portfolio theory to investment strategies, risk-adjusted returns can be improved at the portfolio level by allocating to multiple strategies and asset classes that are imperfectly correlated. Along with the additional benefits on risk controls during periods of market stress, the case for investing in CTA trading strategies is proving to be a valid one. In the illustration above the Newedge CTA Weighted Composite Index represents CTA trading strategies. The MSCI World Index represents global equity strategies, and Global Fixed Income represented by the Barclays Global Aggregate Index. Updated on 2018-03-03T18:53:08+02:00, by admin.